A unique approach for personal brands, professionals, entrepreneurs, business executives and thought leaders that desire to improve their life, grow their business — to gain an invaluable “intuitive perspective” with predictive elements to help them in decision making. Feeling stuck? Looking for fresh insights that can guide you? As an intuitive & psychic consultant and coach, Victoria will focus on you and your personal, professional concerns and address any specific questions that you have to provide accurate, detailed and practical intuitive insight. It’s a good idea to prepare for your session to maximize your time. Break through the status quo! 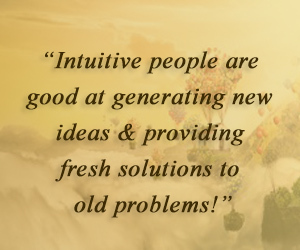 As a business intuitive/psychic consultant and coach, Victoria focuses on you and your business, career or professional concerns to provide accurate, detailed and practical information. It is likely that she will confirm your own intuition, making you more confident with your decisions. Leading authority for intuitive business consulting. Victoria lynn Weston has been known as the “corporate psychic”, and today as go-to business intuitive consultant. She is an entrepreneur, author, producer of PBS featured documentaries, creator of smartphone apps and most recently, developed custom Alexa Skills for AYRIAL. Many people consider her to be the best business psychic for her accuracy. She’s consulted with Fortune 500 executives, entrepreneurs, professionals from around the globe for more than 20 years. Victoria is to me an “inspired” psychic, she not only senses what’s going on with someone and depicts details about their future, but recognizes the key elements in each person that can help them create a more fulfilling life. 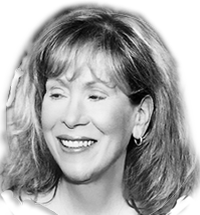 Victoria lynn Weston exemplifies the ability to balance the intuitive right-brain with the logical left side of the brain. Victoria has been recognized as a leader and an inspiration within the intuition community. I highly recommend her work”. You can get alot out of one session with Victoria, but I’ve been consulting with her for more than 3 years. She provided inspiring, positive and detailed insights about my newly launched business. In less than three years, my company has reached multi-millions in gross revenue. I find Victoria’s insights and her accuracy invaluable. I felt so alone after the loss of my husband. With no one that I felt comfortable in confiding with, I reached out to Victoria. She opened my eyes to a new way of thinking and living. My life is back on track and I’m doing the things I am most passionate about. In 2008, I lost my job. The economy tanked. I consulted with Victoria who got me out of a very depressed mindset and gave me specific information about my future. Nearly everything happened. I am no longer an employee, but opened my own business. Schedule a session & discover what opportunities await you! It’s no surprise to know that for years, corporate executives of such companies as Microsoft, Arby’s, Turner/CNN have used intuitive development exercises that have been labeled “brain aerobics” to harness creative, intuitive and inspired leadership skills. Learn more about Victoria, her work and how she can help you find your passion… reach your goals and succeed. She is a documentary producer, speaker, writer, entrepreneur… her consulting can help you see your full potential in your career, help you reach your goals in business by providing fresh insights and accurate predictions. Get FREE Articles from Victoria! Periodically Victoria will email inspiring articles. Learn about how developing your own intuition can help you in your personal and professional life. Get a better understanding about the psychic arts and how psychics have contributed throughout history from Oracles to finding oil to solving crimes and to sitting on Corporate Boards. We respect your privacy. We do not share our names. 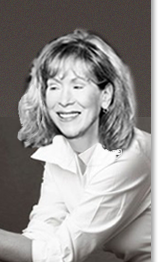 Victoria lynn Weston is the Founder of AYRIAL. AYRIAL’s Mission is to enhance the well-being of individuals who seek the insight of exceptional lifestyle consultants who can empower, provide guidance, information and resources to help them grow spiritually, in business and leadership. AYRIAL was created and is published by Weston Media Group, LLC. It’s founder Victoria lynn Weston had a vision that inspired her to develop a new “body, mind & spirit” online community and to engage users with its smartphone and tablet App. The goal is to provide a convenient and engaging way for clients to connect with a psychic, intuitive consultant, astrologer, spiritual medium, feng shui consultant or life coach. 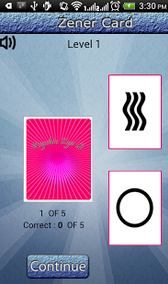 AYRIAL features exceptional psychic, intuitive, spiritual mediums who are tested by providing “cold readings” for an AYRIAL associate and to further test their abilities, we provide our ZENER CARD App. AYRIAL also provides inspiring and educational resources, articles and shares lively conversations with its members and other interesting guests via podcasts through AYRIAL TalkTime and distributed through iTunes, STITCHER and AYRIAL. AYRIAL’s lifestyle smartphone App will make it convenient to enlighten, inspire and motivate individuals to explore information that exceeds beyond the five senses and easily connect a lifestyle consultant. In addition, you can keep up to date with AYRIAL via AYRIAL Newsflash Alexa Skill and AYRIAL Feng Shui Tips Alexa Skill!